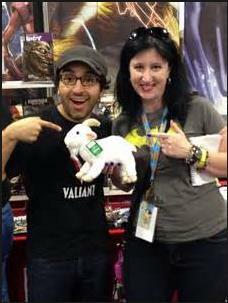 I’m going to highlight some reasons below why I am so passionate about Valiant’s products. I should caveat that lots of what I will be saying is opinion based on observation, and should be taken as thus. I’ve been reading comics for most of my life, and have seen some amazing stuff (Miracleman, Watchmen, Planetary) and not so amazing stuff (anything Rob Liefeld). So please don’t be offended if I speak derisively of Wolverine/Batman/Spider-Man’s excessive overuse in comics to the point of ridiculousness or other practices I feel are questionable… my points below are biased from my own experiences. Imagine, if you will, a day like any other day in your life. You get up, go to work or school, carry on with your usual routine… and then the news starts circulating. What has been described as a terrorist attack at the Roman Coliseum in Italy. The footage from tourist cameras starts to circulate on the news stations and online – an armed response against… is that a man? A man in armor? Surrounded by soldiers who are firing on him to no avail. What looks like bolts of energy leap from his hands, decimating his opponents before he rockets up into the sky, seemingly under his own power. Cut back to the news anchor and speculation on who this new threat could be, where did this weapon come from, how can such things be possible?? The comics in the Valiant Universe all exist within the same story telling universe, one that is seemingly not too different from our own. To the average inhabitant of the planet, extraterrestrials are the stuff of sci-fi or conspiracy theories, magic is performed by street performers, and all the amazing superheroic stuff you read in comics exists… in comics. It’s from that assumed launching point that all these strange and incredible things are starting to happen in this world, and as the veil of normalcy is beginning to lift, you begin to see the unexplored differences of this world from our own. Eternal warriors, time traveling adventurers, voodoo defenders against the realms of the dead, nanite enhanced super-soldiers, giant robots from outer space… readers are treated to reactions of the public to all these fantastic occurrences, and we get to feel vicariously what it would be like to experience these world changing events! Another way I appreciate this “close to the real world” approach of Valiant is how they handle their characters. One of the oft too mocked tropes of comic books is the infamous “kill so and so character, resurrect them a year or two later” and usually just in time for the next movie. With Valiant, if a character dies, they stay dead, making for much more dramatic storytelling. I would argue the recent “death” of Peter Parker lost some of its sting when he came back somehow a couple years later. However, the death of one of the Harbinger Renegades has been present as an ongoing storyline in Valiant, as various characters have had to come to grips with the loss. 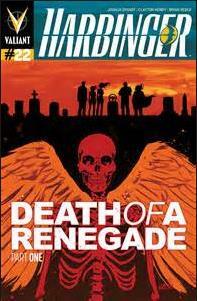 Joshua Dysart, writer of Harbinger, described the decision to kill that character as a difficult one – it meant this character with so much potential has been taken away, never to be used again. Compared to the other “superhero universes,” Valiant is still in its infancy – a few years of publishing, and a monthly line that consists of 9 titles, give or take. As a result, it is crazy easy to completely ensconce oneself in the entire history of this universe from its beginning, and witness as it grows and changes. Unfortunately, with other comics publishers who have been around for 50+ years, it would be next to impossible to accomplish such a feat, and the constant restarts and reboots through the years would make it a futile endeavor. If I could describe the current “superhero comic” landscape presented by the major comic companies, what leaps to mind is “questionable priorities.” What I mean by that is the big companies seem focused less on the making of comics, and more on the exploitation of their characters in other markets like movies or TV. As a result, corporate mandates dictate the publishing schedule to fuel or capitalize on those markets, or the quest for more and more comic market share has resulted in lines where cranking out numbers has become more important than telling a decent/cogent story. 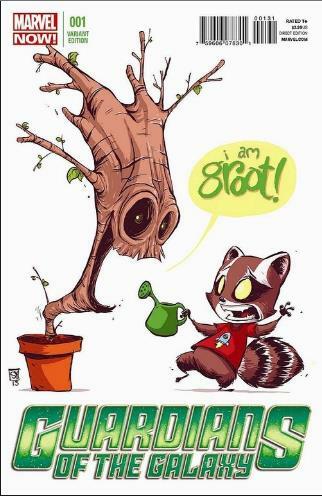 For example, let’s take a look at the recent Guardians of the Galaxy movie. Sure, they’ve been a part of the Marvel Universe for ages, but never quite the big billing as the X-Men, Spiderman, or Avengers in popularity. However, give them a movie of their own (and kudos to Marvel for taking a risk on an unproven franchise), and suddenly there is not just a new Guardians comic, but there is one for Star-Lord, one for Rocket Raccoon, a Guardians comic taking place in the year 3000, a crossover with the X-men, a Guardians cartoon… everywhere you looked, Marvel was cashing in on this hot property. Didn’t matter how good the story was or if it followed any kind of continuity…its Guardians of the Galaxy, baby, and Marvel made a buttload of cash of the property. My point is that with Valiant, what you see is what you get. No mandates. No higher powers dictating sales numbers or able to determine books with potential be cancelled and replaced with yet another Bat-title… this is just one company doing their best to put out some damn fine comics. The mantra is not “What’s our next Film“ or “What’s our next Big Event”… no, it’s “Best Idea Wins” when determining the next story arc or title to be released. Have they always been successful? Nope, there have been a couple of stinkers out for sure… but for the most part, Valiant has become known for putting out engaging stories that put anything done by the larger companies to shame. Perhaps it’s because they know they are fighting an uphill battle, but the staff over at Valiant positively ooze with enthusiasm and love for their comics. 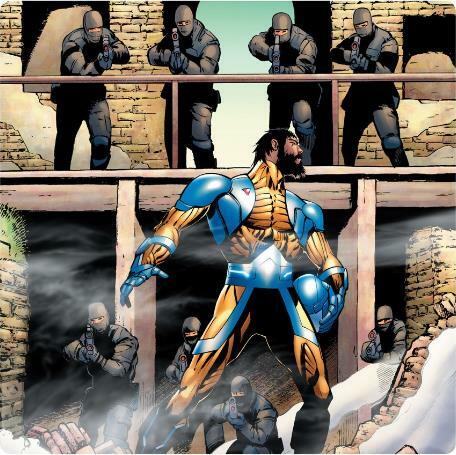 Twitter, Facebook, Tumblr… Valiant has a very active presence on social media, where the staff and many times writers or artists have shown themselves more than happy to engage with the fans. Now, I’m sure many a reader are saying “duh, Keith, you big ninny. It’s their bread and butter… of course they’re going to promote it.” I say back… no, these guys reaaaaally go out of their way. 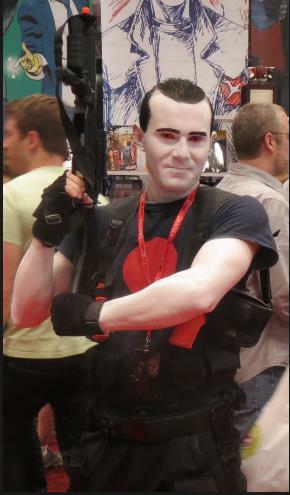 For example: Stop by any comic book convention that Valiant is at, and chances are really good that you won’t be greeted by Joe Blow “Assistant Intern in the Marketing Department” … no, you’ll be greeted by Dinesh Shamdasani, the CEO of Valiant Entertainment. That’s right, the main man himself will be in the trenches working the booth, schlepping the books, pressing the flesh and talking all things Valiant with the fans. While I have yet to meet him, by all accounts he is an extremely friendly guy, often testing fans on their Valiant knowledge and rewarding lucky ones a secret glimpse at unannounced plans for new books or story arcs stashed on his iPad. Matching the enthusiasm of the company is the passion of the die hard, Valiant devoted fans. The epicenter of this rabid fandom is located at ValiantFans.com, a site that has been in operation in various forms, but most notably during those quite years where no comics were being produced. Go there, and you will find post after post in the forums on all things Valiant. Fans talking monthly sales, fans reviewing books… some fans have even gone to the extraordinary great lengths to run their own contests to help promote Valiant more. A recent contest run by two fans from the site asked fans to help promote the sales of Valiant trade paperbacks by writing reviews on Amazon, as well as their Canadian and UK sites. These guys went out of their way to work with Valiant directly, securing some truly sought after items as prizes for the winners. They didn’t have to do it, they just wanted to find new and unique ways to support the company. The above represent just some of the reasons why I’m so enamored with the comics Valiant publishes. While I am certain that some of these traits can be found in other comic lines, I think they are all strongly represented at Valiant. Trust me, I could go on with more, but I’m thinking that it’s time to start taking a look at the comics and characters. Stay tuned, dear reader, I’ll be back in a couple weeks to start making introductions! Great article supporting a great company. Looking forward to more, Keith.